President Trump on Wednesday grounded Boeing 737 Max 8 operation in the U.S.
-A Boeing 737 Max 8 operated by Ethiopian Airlines crashes outside Addis Ababa, killing all 157 of its passengers and crew shortly after takeoff. -The Ethiopian Airlines Flight 302 accident raises more questions about the safety of the Boeing plane. A similar incident occurred five months ago, when Lion Air 610 plunged into the Java Sea shortly after takeoff. An investigation in November found the plane safe to fly. -Ethiopian Airlines grounds all of its 737 Max 8 planes. Cayman Airways said it would suspend use of the Boeing jet on Monday. 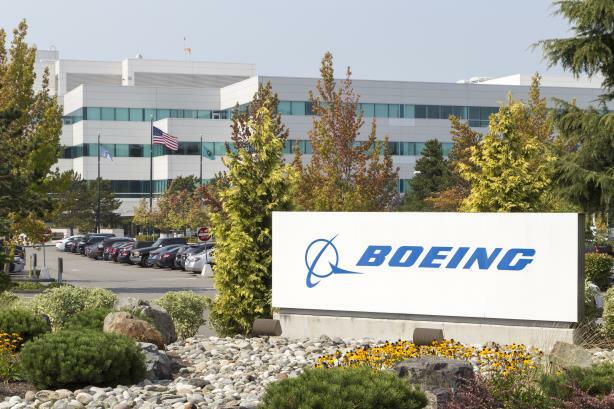 -Boeing extends its condolences and says it is sending a team to provide technical assistance under the direction of the Ethiopia Accident Investigation Bureau and the U.S. National Transportation Safety Board. More than 350 of the $120-million-per-plane 737 Max 8s have been delivered since 2017, and about 5,000 more have been ordered, according to The New York Times. -Boeing is down 11.5% in premarket trading, putting it on track for its "worst day since 9/11." -The Civil Aviation Administration of China orders its airlines to cease operating all 737 Max 8s in their fleets, citing the Ethiopian Airlines and Lion Air crashes. Indonesia follows China’s example nine hours later, telling airlines to ground the Boeing aircraft. Chinese and Indonesian airlines are two of the biggest users of the 737 Max, according to The New York Times. -Search crews recover Ethiopian Airlines Flight 302’s "black box." -Despite the crashes, carriers including American and Southwest airlines say they will continue to operate the Max 8. Delta and United don’t operate Max 8 planes. However, United said it has 14 Max 9s in its fleet. Overseas airlines including India’s SpiceJet, South Korea’s Eastar Jet, New Zealand’s Fiji Airways, Singapore’s SilkAir, and South Africa’s ComAir say they will continue to operate the Max 8. -The U.N. says that at least 22 of its staffers who were bound for the U.N. Environment Assembly in Nairobi, Kenya died during the crash. -The U.S. FAA declares the 737 MAX, both versions 8 and 9, to be airworthy. -The E.U. Aviation Safety Agency grounds the jet. -President Donald Trump tweets that "airplanes are becoming far too complex to fly." -Trump speaks with Boeing CEO Dennis Muilenburg. News outlets point out ties between the Trump administration and the company. -The FAA says it stands by its assessment and continues its probe. No evidence gathered by the agency or evidence provided to it warrants grounding the aircraft, it says. -Boeing says it will tweak the software change in the 737 Max’s flight-control system, according to The Wall Street Journal. Plans to implement the change preceded the Ethiopian Airlines crash. Boeing also reaffirms its confidence in the 737 Max family. -John Samuelsen, international president of the Transport Workers Union, calls for the grounding of the Boeing 737 Max until it’s been determined why Ethiopian Airlines 302 crashed. -Elaine Chao, U.S. Secretary of Transportation, flies on a Southwest Airlines 737 Max 8 from Austin, Texas, to Washington DC in defiance of a public outcry to ground the jet. -The increasingly isolated FAA faces its own credibility crisis, as regulatory bodies follow China’s example instead of that of the U.S. agency. Media outlets, including Bloomberg and The New York Times, note China’s state-owned company Comac has a competing airplane model. The C919 is seeking certification from the CAAC and EASA. -Canada bans all Boeing 737 Max 8 and Max 9 operation, because satellite tracking data indicates similarities between the Ethiopia Airlines crash and the Lion Air crash, according to Transportation Minister Marc Garneau. -Trump orders all Boeing 737 Max jets grounded via executive order. After speaking with Muilenburg, Trump says that Chao and acting FAA head Daniel Elwell "are all in agreement with the action. Any plane currently in the air will go to its destination and thereafter be grounded until further notice."